Here are a few pictures. Some are mine, others are my wife's. 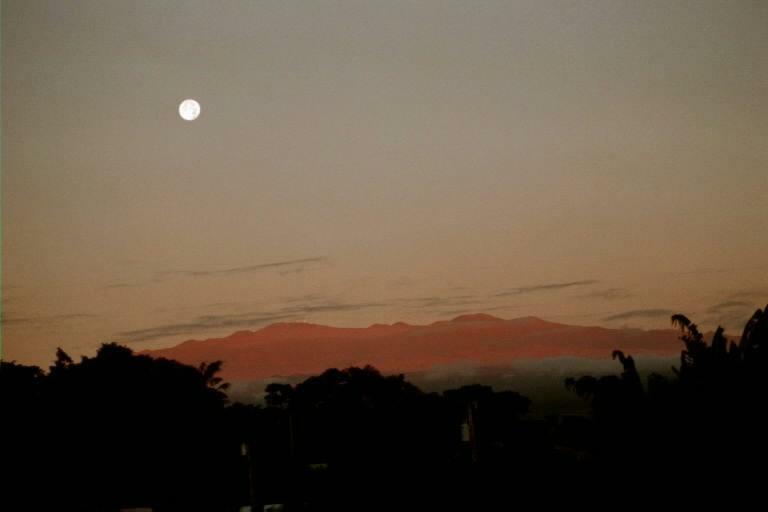 Moonset over Mauna Kea, an image taken from my driveway one morning as I was leaving for work. The same view a few minutes later taken with a 200mm lens. You can see some of the telescopes on the mountain as little white specks. 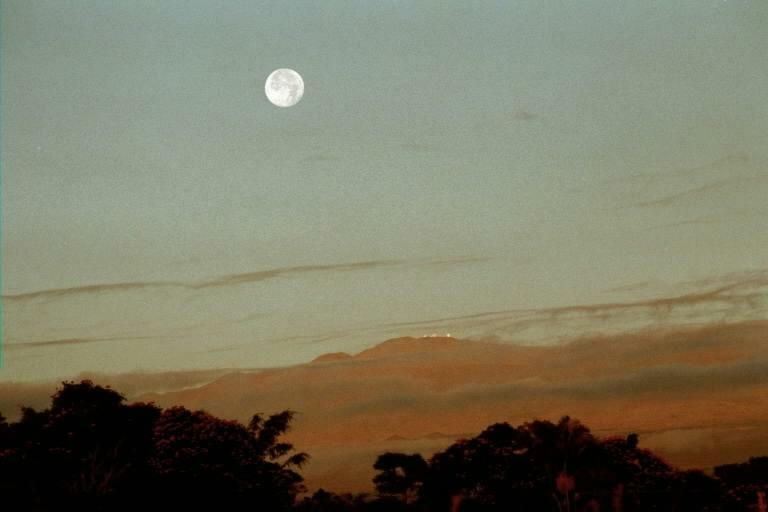 Also visible are some of the lunar Maria, or seas, the lava plains which make up the face of the "Man in the Moon".